Since submitting an article draft doesn’t translate well to mobile (and really, who wants to do all of that on their phone? ), this will remain a non-responsive process, designed to be completed on a desktop or laptop computer. Reading and scoring articles, posters and abstracts, however, is a perfect fit for our mobile and tablet users – and it just became easier than ever with our newly released page designs. Quickly hop into an article on your phone with no need to resize the page or struggle with small buttons or text. Now you can read, score and share whenever you have a moment. We know how busy you are – perhaps your evening train commute is the best time for you to be active in the Cureus community. Or maybe you prefer to check out the latest published articles while relaxing in your yard. Whatever the case may be, you’ll be able to do it on your phone or tablet. We’ll be making more pages responsive just as soon as we can – so stay tuned for more updates! Questions or comments? Shoot us an email at info@cureus.com. Your academic department is full of hard-working researchers and practicing physicians. Cutting edge research and innovative clinical experiences are everywhere. Trusted veteran physicians and up-and-coming stars are working together. All of your department’s faculty and residents know that their collective work is making a difference. Worthy of praise, funding and patient referrals. But does anyone else know? By partnering with Cureus you can ensure that fellow physicians around the world are updated on the latest and greatest from your department. All Cureus channel partners receive their very own branded, quarterly email digests that are managed and sent by Cureus. 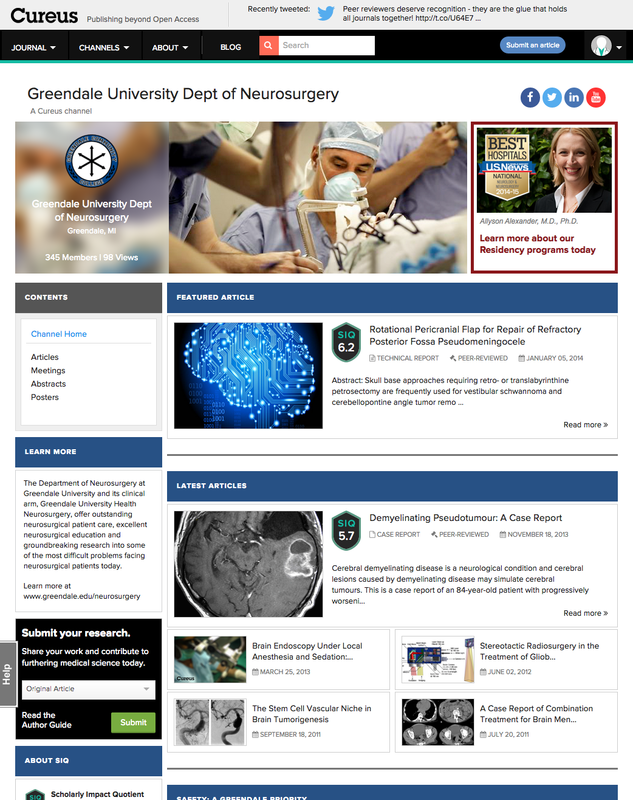 Featuring hand-picked, recently published articles from your department as well as author head shots, a Cureus quarterly digest is an excellent way to raise awareness surrounding your department, boost the profile of up-and-coming faculty and even gain patient referrals. We invite each of our channel partners to customize their quarterly’s messaging to fit their department’s unique goals. With thousands of recipients and sky-high open and click rates, we’re confident that a Cureus quarterly digest is the best value for your department’s marketing budget. Take a look at the examples below, and contact us at info@cureus.com to learn how your department can reach physicians and researchers around the world. Note: partial view of quarterly digest. Have you published an original article or case report featuring a patient who would want to share his or her story? Contact your featured patients and tell them about this exciting opportunity to describe their experience in a way that fellow and future patients can understand. 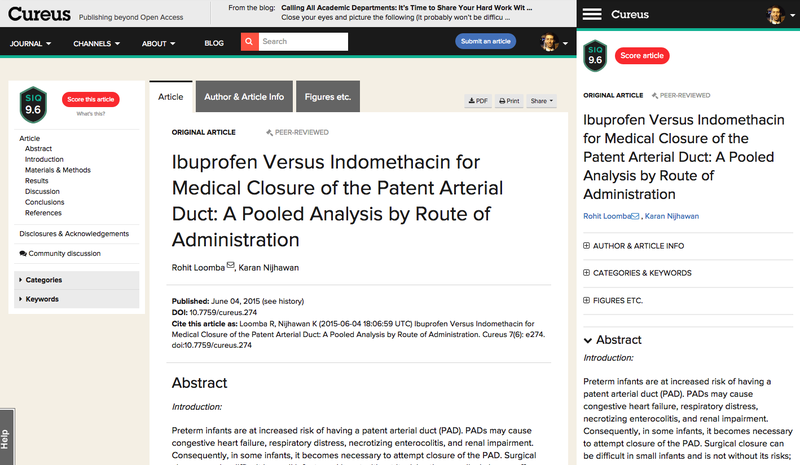 Let’s be frank, journal articles aren’t the most accessible reading outside of the medical community. Adding a Patient Reported Outcome (PRO) is a fantastic way to highlight clinical experience from the perspective that matters most – the patient’s. Preparing for treatment can be a stressful, frightening time. Hearing from someone who’s already experienced it – all in their own words – can make a world of difference when deciding who to entrust with one’s health. Here’s how it works, and remember that publishing a PRO alongside your article is free! We ask that you reach out to your patient first. Once the patient has agreed to participate, we’ll take over from there – it’s that easy! When the patient has submitted his or her PRO, we’ll edit for spelling and grammatical errors; their words will otherwise be published as is, with no interference from the article authors or Cureus staff. PRO authors can also include supplemental images. Take advantage of this unique feature to make your published article something special. Reach out to your featured patients and contact graham.parker@cureus.com to learn more! New to Cureus? Has it been awhile since you last published with us? Good news! 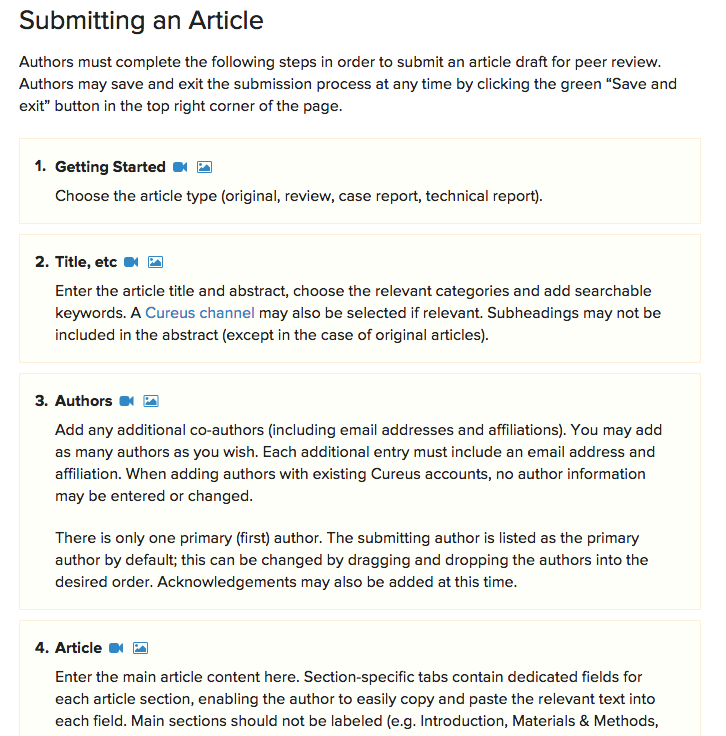 Our revamped Author Guide now features a series of short, snackable how-to videos designed to walk you through each step of the article submission process. Just click the blue video icon next to select headers located throughout the Author Guide to view a short video walking you through that specific step of the submission process. We recommend taking a few minutes to watch the videos for each of the eight article submission steps before beginning the process. Taking ten minutes now will save you time later! ZEISS recently partnered with Cureus to host a publishing competition focused on microscope-integrated intraoperative fluorescence. The competition attracted articles submitted from all over the world, with the final field of published articles standing at 10. While prizes have already been awarded, we wanted to take some time to recognize a few of the highest-scoring articles. Today we’ll take a look at the 3rd place article, “Indocyanine Green Videoangiography and Intraoperative Catheter Digital Subtraction Angiography in the Treatment of Intracranial Aneurysms: A Consecutive Series of 235 Cases,” written by Archie Defillo, Mushtaq Qureshi and Eric Nussbaum. Receiving an SIQ score of 6.9, this deserving article could’ve easily finished in either of the top two spots. Perhaps the size of this study is a sign that we’ll soon see larger and larger undertakings in the research and reporting of intraoperative fluorescence. That’s it for our coverage of the ZEISS/Cureus Intraoperative Fluorescence Publishing Competition. You can find the complete list of published articles here. Contact us at info@cureus.com to learn more about hosting your own competition!